The Nancy Who Drew, The Memoir That Solved a Mystery, begins more than half a century ago and tells the story of a shy dreamy girl who is betrayed by her mother. Wounded and confused, she flees to London to become an actress and have her own life, but finds that the past will not let her go. 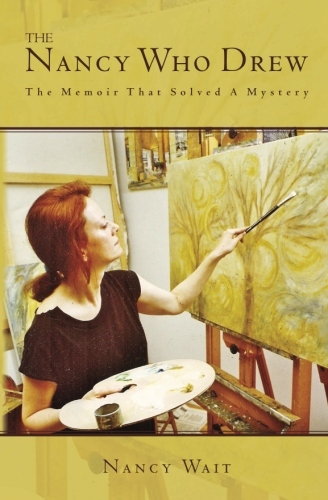 Only when she stops running and starts drawing and painting the dreams that have haunted her since childhood, will she discover the clue that makes sense of it all. And eventually she realizes that betrayal is sacred when the heart can encompass the whole. 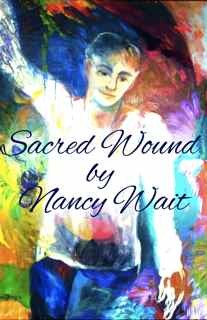 Sacred Wound – Mini-eBook about turning wounds into wisdom. We break the chains of victimhood, turning wounds into wisdom, when we go from ReAction to Creation. I didn’t come to terms with the idea of the sacred wound until I had come full circle, when everything I thought had been bad, I now saw as good. Not that what had been bad now seemed good, but I could see why I might have created the experience. Or why my soul might have led me to creating the experience. Because it was something I needed in order to grow. I had found a reasoning behind the events. And so a burden was lifted. And I felt lighter. 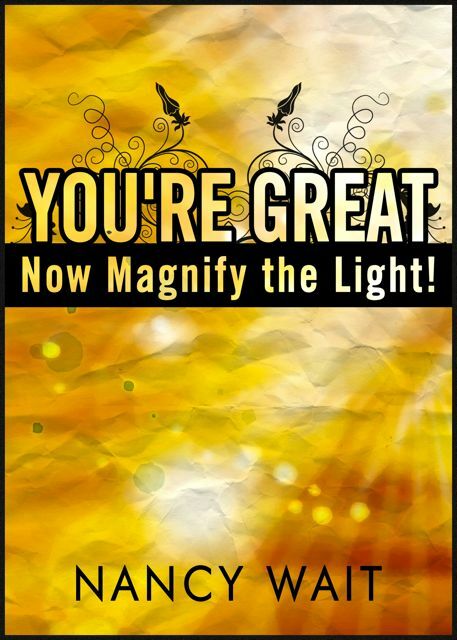 You’re Great – Now Magnify the Light! – Mini-ebook about our greatness and how we can magnify the light. Maybe our ability to magnify the light is, in fact, our greatness. As receivers and transmitters of light and energy, our thoughts and actions are either expanding or contracting the light, hoarding it or spreading it out. It is always our choice, when we come from mindfulness. It is never in doubt, when we come from our Greatness. Includes transcription of a reading and guided meditation on Blog Talk Radio at The Healing Fountain on December 20, 2012, plus two stories about a personal journey. I listened to your inspirational podcast through Heart Rising Podcasts just now, and it was everything I didn’t know I needed to hear. I have been trying to write my memoir “Born in May” for some time now, and have been struggling. It seemed like every word you spoke was what I had been searching for to listen to. You have really moved me to put the story of my inner self into words, to help to build the bridge for others wanting to do the same. Thank-you from one soul seeking expression to another. Thank you Lori, I am thrilled to hear it! As you say, you heard me, and others will hear you! Memoir IS difficult, especially if you want to go deeper. I’m a writing coach. Let me know if you’d like some help. Or join a workshop for support. We all need support!